Digital transformation has changed the face of the business world. In fact, according to a study by Microsoft and IDC Asia/Pacific, digital transformation will add an estimated $45 billion to Australia’s GDP by 2021 and increase its growth rate by 0.5% annually. Armed with a solid digital transformation strategy, organisations striving to remain competitive in today’s fast-paced environment will have the focus to shape and deliver the ultimate customer experience – or, at the very least, point it in the right direction. This means IT is playing a far more central role in businesses than ever. No longer is IT solely responsible for back-end processes that support the roles of other departments – now, as the resident tech experts, they are expected to be at the forefront of digital transformation, helping to drive the successful selection and adoption of new technologies. In order to rise to these challenges, IT must have a firm grasp on the company’s long-term visions and short-term objectives, and a good knowledge of the inner workings of the various departments. In order to understand the biggest drivers of digital transformation, here are 5 key elements of a digital transformation strategy. Customers are the lifeblood of any business. It should come as no surprise, therefore, that one of the biggest drivers of digital transformation is improving customer experience. Customer expectations have become more demanding, with customers now expecting companies to understand their needs prior to engaging with them – and when they do, to have a quick turnaround response. How digital transformation strategies impact on customer experience will of course vary greatly from business to business, whether it’s building a self-service portal for customers, developing a mobile app to further enhance an existing product, or employing artificial intelligence by the way of chatbots or virtual assistants to improve customer service. In the end, it’s about understanding your customers and closing the gap of what they want, and what you can deliver. Myer, for example, has leveraged technology to improve their in-store experience, providing sales consultants with iPads so they can quickly check if an item is stock without having to look ‘in the back’, and order it from another store if it’s not. Digital transformation is also having a huge impact on business’ operational functions, streamlining and even eliminating processes. Automation is speeding up workflows and improving accuracy across departments within the business. A key difference from the manual process is the ability to capture and track information and use it to identify issues, make improvements in the process and increase productivity. IoT is providing a much deeper view into supply chains; and organisations are using cloud computing – including platform-as-a-service (PaaS) and infrastructure-as-a-service (IaaS) – in order to scale quickly, drive down costs and fuel innovative solutions. Digital transformation is giving businesses unprecedented access to data, vastly improving their ability to make fast, accurate decisions. 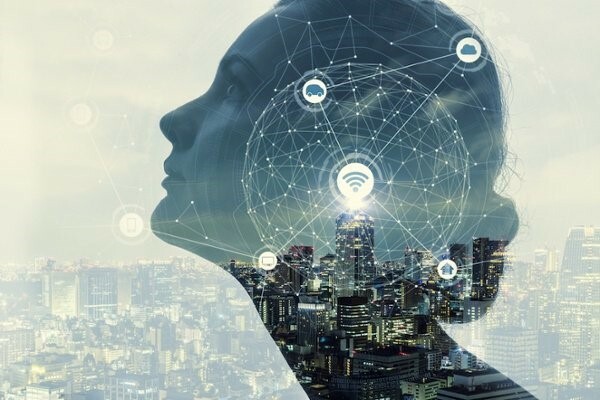 Artificial intelligence is helping to sift through huge amounts of data and present it visually; machine learning and algorithms are using past data to help employees make better decisions; and IoT is giving instant access to real-time information, making businesses more agile than ever. This is why big data is essential in any digital transformation strategy. Collecting the right data gives companies a better view of customers and how they interact with the brand at every touchpoint. Additionally, data-driven trends will allow businesses to make decisions quickly. Digital transformation is also being used to drive innovation, to the point of transforming an organisation’s entire business model. Digital collaborative tools, for example, are helping employees share knowledge quickly, efficiently and flexibly; better business intelligence is providing insights that lead to the creation of new products and revenue streams; and the cloud is providing the computing power necessary to power the eruption of data and draw useful inferences from it. The main driver of all of these elements is data. But in order for an enterprise to become truly data driven, they must first free the data from being trapped on paper and in business silos. That’s why one of the first elements in a successful digital transformation is often content management. An enterprise content management (ECM) solution can help fuel digital transformation by digitising information, eliminating manual processes, streamlining and automating workflows, and providing a central data repository, making information far more accessible and preventing unnecessary duplication. True digital transformation doesn’t happen in a single department, but across an entire organisation. Want to see how an ECM solution can prepare your business for the future? Contact us to request a demo today. Or if you’re already looking for a solution, make sure you choose the one best suited to your business with our comprehensive ECM Checklist.